Bonus offer: $30 Forex Free Bonus and 50% Deposit Bonus to all new trading account holder. What is the 50% Deposit Bonus? 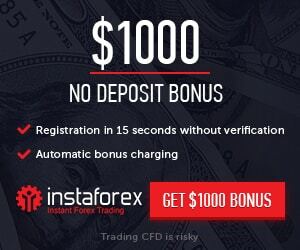 The forex deposit bonus is a two-tier bonus offering 50% up to $500 and 20% up to a maximum combined bonus amount of $5,000, or currency equivalent. XM offers its clients multiple trading benefits to stay at XM, starting with a $30 Free Trading Bonus. In other words, we give you $30 worth of credit (non-withdrawable) just for opening your first Real Account, allowing you to test our products and services by starting to trade with no initial deposit.